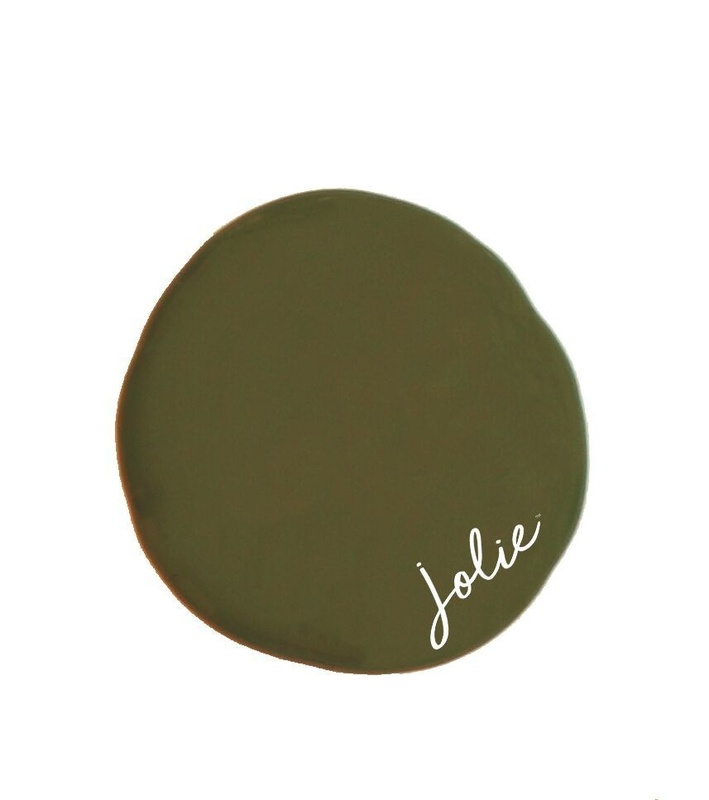 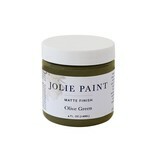 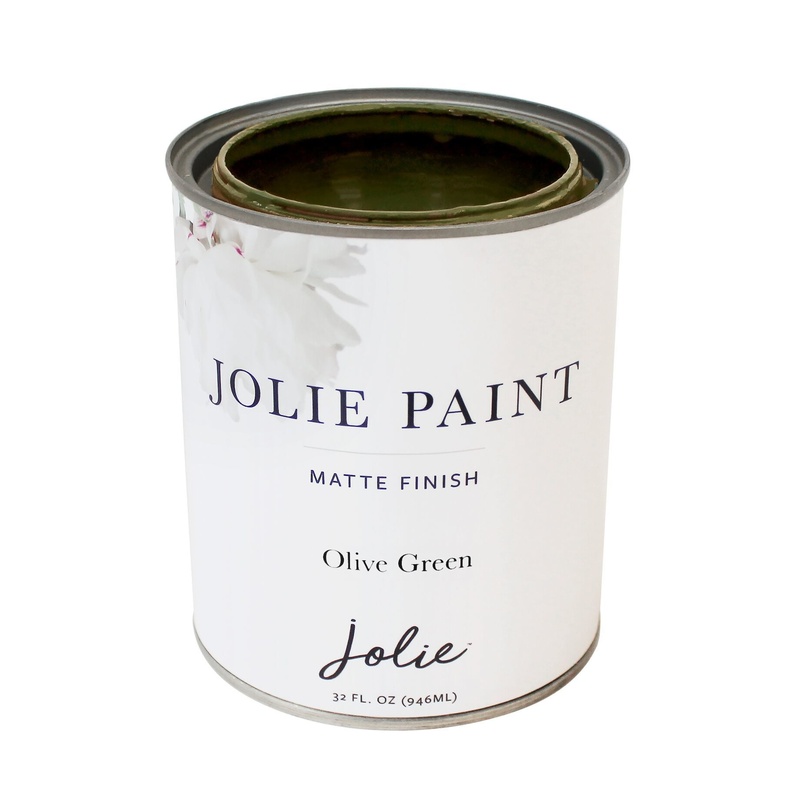 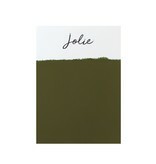 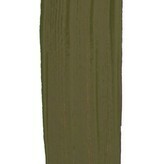 Jolie Paint in OLIVE GREEN is a dark, yellowish green. 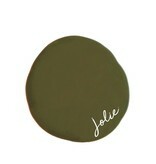 For a more muted olive, mix with French grey using equal parts of both. 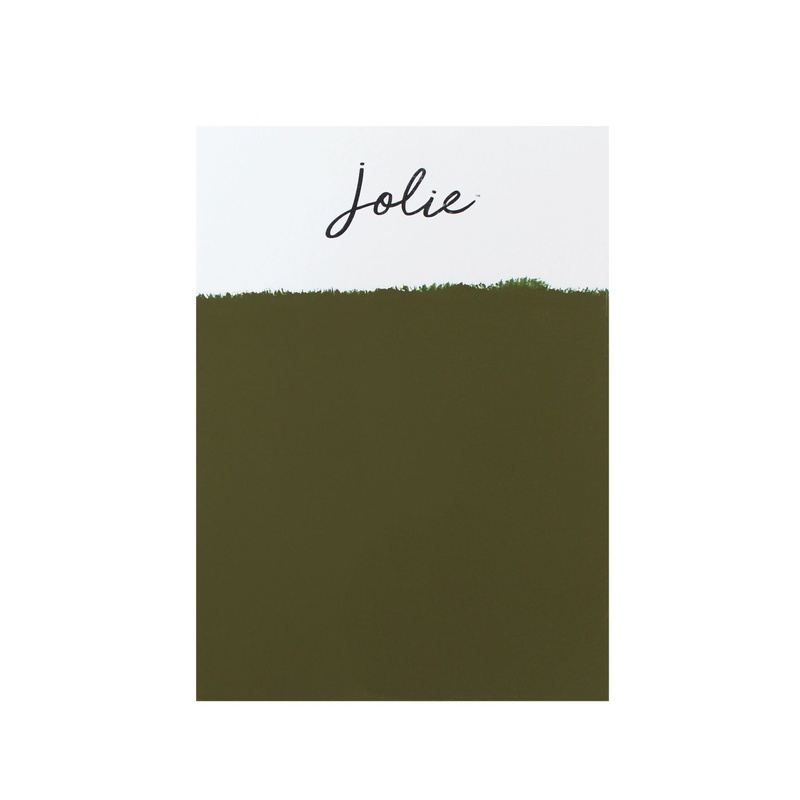 This color looks great with Mid-Century Modern or Farmhouse styles. 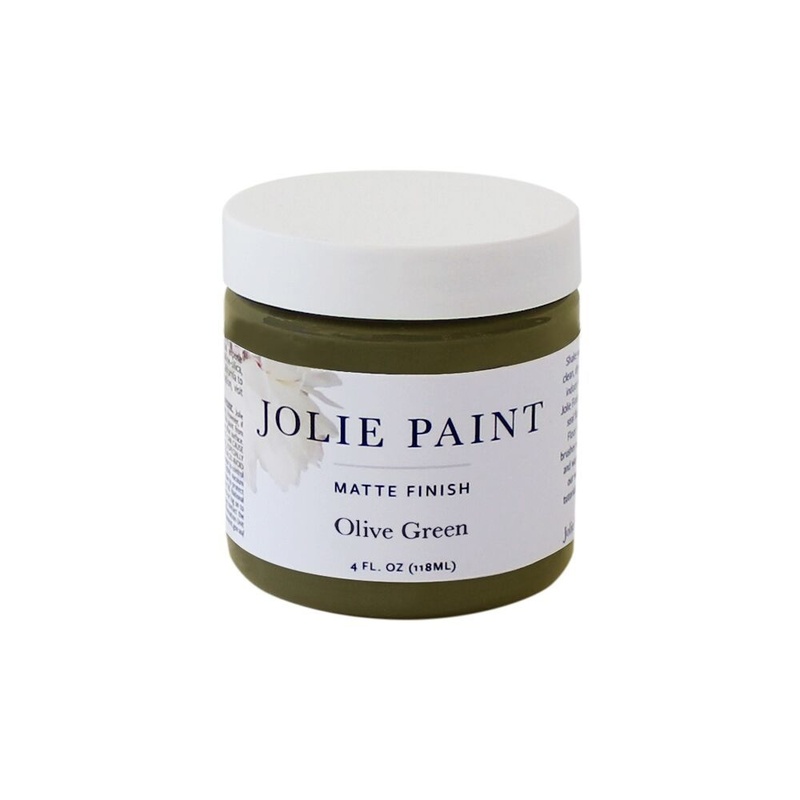 Olive Green became as popular as navy as an alternative neutral, even in fashion. 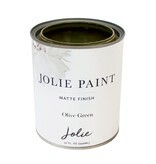 Compare to our previous label's Olive.